“First airing in 1966, with a promise to ‘boldly go where no man has gone before,’ Star Trek would eventually become a bona fide phenomenon. Week after week, viewers of the series tuned in to watch Captain Kirk, Spock, and the rest of the crew of the USS Enterprise as they conducted their five-year mission in space. Their mission was cut short by a corporate monolith that demanded higher ratings, but Star Trek lived on in syndication, ultimately becoming a multibillion-dollar media franchise. With merchandise spin-offs, feature films, and several television iterations—fromThe Next Generation to Discovery—Star Trek is a firmly established part of the American cultural landscape. If you’re a Star Trek fan who’s always just enjoyed the show and never really thought about its historical context or its influence on our society, there are lots of resources to explore. There are academic and fan-written books on fanfiction and fandom, books on gender and race in Trek, numerous books about the making of the various series that reference the context creators were operating in, books about science fiction that reference Star Trek‘s place in the genre, and books on how Star Trek has influenced and been influenced by science and technological development. In Star Trek: A Cultural History, English professor M. Keith Booker surveys all these areas at a high-level, helping the reader really understand the varied roles Star Trek plays in our culture. Booker also takes us through sections on Trek‘s role (particularly TOS‘s role) in the history of American science fiction, American political history, the history of technology, and the history of Star Trek fandom. It’s a lot to tackle in just over 200 pages. Overall Booker does quite a good job with the gender analysis, which is featured in its own section, as well as sprinkled throughout the book. For instance, in the section on Star Trek: Voyager, Booker takes a nuanced look at the “feminist orientation” of the show and discusses the problematic response of some fans and the way the debates on the representation of women in Trek “reflected important debates within American society as a whole.” There’s also an interesting section on the contradictions in Star Trek‘s utopian view of the future, which he argues contains within itself a fair amount of skepticism of utopia. Where Star Trek: A Cultural History really falls down is in how much Booker states his own opinion as if it represents fan consensus, and fails to acknowledge the existence of other perspectives. For the past year, our fandom has been engaged in some debate about whether Discovery is “really Star Trek” because of the dark and gritty aspects of the first season. There are also those who argue the Seth MacFarlane show The Orville is actually “Trekkier” than Discovery. Then there are fans who watch and enjoy both shows and realize that both are evolving as they enter their second seasons (if you’re interested in this discussion check out our Women at Warp supplementary episode on The Orville). The influence of Star Trek, and the relatively optimistic vision of the twenty-fifth century as portrayed in the series is far more in line with the original vision of Roddenberry’s Star Trek than are the darker and more violent scenarios of Star Trek: Discovery […] or the J.J. Abrams films. The Orville might be a sometimes silly postmodern pastiche of Star Trek, but it’s definitely Trekkier than any of its contemporaries, even those that bear the Star Trek brand name. He also accuses Discovery of being “the major step backward in the representation of ‘others’ in Star Trek” due to its portrayal of the Klingons as “a collection of ‘Orientalist’ stereotypes,” with no consideration of Discovery‘s very diverse human cast. 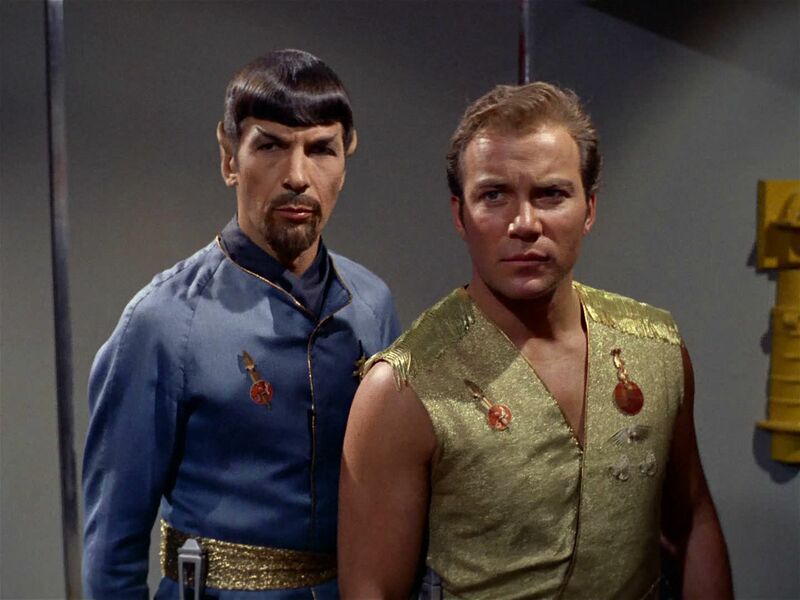 Bizarrely, he argues that Spock was “the virtual opposite of Orientalist stereotyping” though others have argued Vulcans actually epitomize “model minority” Chinese stereotypes, with their stoic, logic-driven personalities, black hair and slanted eyebrows. Spock even wears a Chinese-influenced collar in his Mirror representation. Spock is a complicated figure who’s meant a lot to a lot of different people of different races (here’s a great NPR article that explores this phenomenon in greater detail). It’s unfortunate that complexity doesn’t come through. Right away, I wondered if it was even possible with TOS timelines that the stance taken in “The Omega Glory” was due to an event that happened only four weeks earlier. A little research turned up the answer. Not only did Roddenberry write “The Omega Glory” before the Tet Offensive began, it was one of the three scripts pitched for the series pilot, with the first draft submitted a full two-and-a-half years earlier. Filming on the episode completed in December 1967, a month before the Offensive. The first draft for “Let That Be Your Last Battlefield” was also submitted well in advance of the event. Certainly “The Omega Glory” had an additional impact on the audience viewing it immediately after the bloody and devastating Tet Offensive, but the timing was coincidental and I’d argue it’s much more difficult than Booker and Franklin present to map a clear shift in Trek’s attitudes on the Vietnam War. Another area I had a serious problem with was the chapter on the history of fandom, which erases the crucial contributions of women to Star Trek fandom. The chapter on fandom is written as if fan creations were born via immaculate conception, without participation of actual fans, e.g. “By January of 1972, Star Trek convention, held at the Statler Hilton Hotel in New York City.” Guests like Leonard Nimoy are mentioned but not the volunteer organizers, many of whom were women (see our episode “Women of the First Conventions”). There’s also no mention of Bjo and John Trimble, who helmed the Save Star Trek! 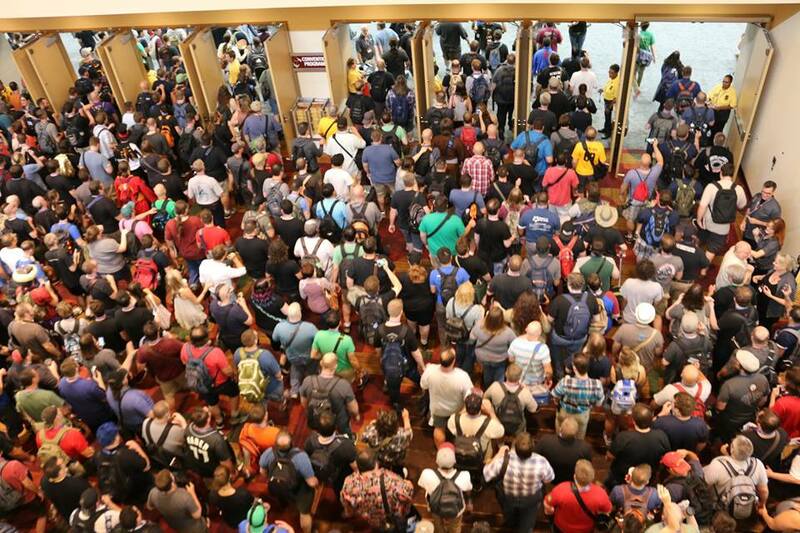 campaign and helped stage some of the first Trek conventions. Similarly, Booker talks about the first fanzine, Spockanalia, without mentioning its editors Devra Langsam and Sherna Comerford or the remarkable fact that so many women took the lead in fanfiction and fanzine creation in a science fiction fandom that many still assume is male-dominated. There may have been a lot to cover in this book, and a lack of space to cover it all, but I think failing to name some of the key figures in early fandom and/or shouting out the role of women in early Trek fandom is a big problem. The book concludes with Booker’s summaries and ratings of all the TOS episodes, which is a bit of an odd tack-on, but overall this volume might be useful for newer fans who want a high-level overview without having to wade through more detailed tomes like the three-volume These Are The Voyages or the various academic volumes on Trek fandom. Star Trek: A Cultural History was published in September 2018 and is available in hardcover and ebook through the publisher and Amazon. This is a *very* useful book report, thank you. As someone who has checked out many of the academic volumes on Star Trek over these decades, I might have been suckered into getting this one. But you have clearly and fully explained all the reasons why I need not bother with this book.